There's a lot going on over at the Greater Lowell Chamber of Commerce (GLCC)! First up, they'd like you to know about their two available scholarships: the Community Service Scholarship and the W.I.S.E. Scholarship (Women Inspiring Success and Empowerment). The Community Service Scholarship is given to selected Greater Lowell area high school seniors, and it is based on entirely on community service. Click here for the application and more info. Applications are due by Friday, May 5, 2017. The W.I.S.E. 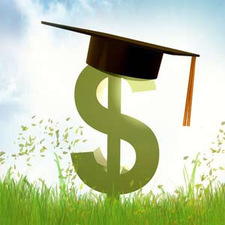 Scholarship is given to women over the age of 25, who have graduated from high school or GED, and would like to further your education through a degree, certificate, or license program. Click here for the application and more info. Applications are due by Friday, March 24, 2017. The Chamber has selected Habitat for Humanity of Greater Lowell as its Nonprofit of the Month in March. This includes collecting donations, scheduling a tour of their facility, promotion and coordinating volunteer opportunities (when applicable). You can donate at any Chamber event, in the Chamber office, or online at the Habitat's website. 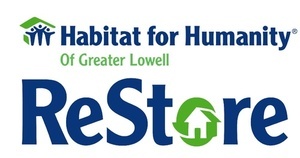 A tour of the Habitat's ReStore in Tyngsboro is scheduled for Thursday, March 23 from 1-2pm. For more information, visit the online tour page.